The most important thing for you to realize - from the outset - is that this is not a book about marketing. 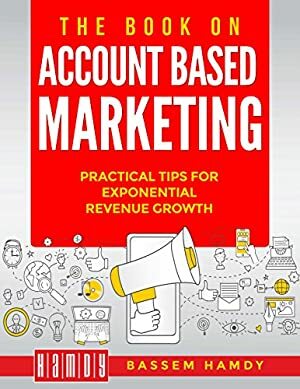 The world of business-to-business revenue generation has evolved to the point that, no matter what your functional role, account based marketing will play a pivotal part in your individual and company's success or failure. Are you in sales? Account based marketing will be the single largest component of the quality of revenue that you generate. Are you in customer success? Account based marketing will be the foundation of your customer's overall satisfaction. Are you in marketing? Account Based Marketing (ABM) will be the most highly leveraged tool in your arsenal of tools. Log In to track Bassem Hamdy on eReaderIQ. to be notified each time the price drops on any book by Bassem Hamdy. to stop tracking Bassem Hamdy. We started tracking this book on March 17, 2018. The price of this book has changed 2 times in the past 400 days. This lowest price this book has been offered at in the past six months is $4.52. The highest price to date was $9.66 last reached on March 25, 2018. This book has been $9.66 one time since we started tracking it.